Western corn rootworm (Diabrotica virgifera virgifera; WCR) is a major coleopteran maize pest in North America and the EU, and has traditionally been managed through crop rotation and broad-spectrum soil insecticides. Genetically modified Bt-maize offers an additional management tool for WCR and has been valuable in reducing insecticide use and increasing farm income. A concern is that the widespread, repeated, and exclusive deployment of the same Bt-maize transformation event will result in the rapid evolution of resistance in WCR. 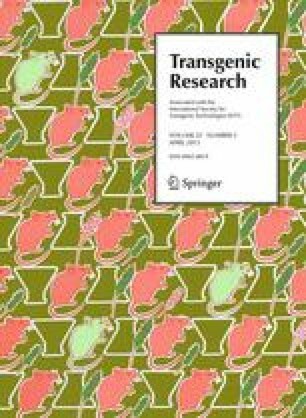 This publication explores the potential of WCR to evolve resistance to plant-produced Bt-toxins from the first generation of Diabrotica-active Bt-maize events (MON 863 and MON 88017, DAS-59122-7 and MIR604), and whether currently implemented risk management strategies to delay and monitor resistance evolution are appropriate. In twelve of the twelve artificial selection experiments reported, resistant WCR populations were yielded rapidly. Field-selected resistance of WCR to Cry3Bb1 is documented in some US maize growing areas, where an increasing number of cases of unexpected damage of WCR larvae to Bt-maize MON 88017 has been reported. Currently implemented insect resistance management measures for Bt-crops usually rely on the high dose/refuge (HDR) strategy. Evidence (including laboratory, greenhouse and field data) indicates that several conditions contributing to the success of the HDR strategy may not be met for the first generation of Bt-maize events and WCR: (1) the Bt-toxins are expressed heterogeneously at a low-to-moderate dose in roots; (2) resistance alleles may be present at a higher frequency than initially assumed; (3) WCR may mate in a non-random manner; (4) resistance traits could have non-recessive inheritance; and (5) fitness costs may not necessarily be associated with resistance evolution. However, caution must be exercised when extrapolating laboratory and greenhouse results to field conditions. Model predictions suggest that a 20 % refuge of non-Diabrotica-active Bt-maize can delay resistance evolution in WCR under certain conditions. This publication concludes that further research is needed to resolve the remaining scientific uncertainty related to the appropriateness of the HDR in delaying resistance evolution in WCR, resistance monitoring is essential to detect early warning signs indicating resistance evolution in the field, and that integrated pest management reliant on multiple tactics should be deployed to ensure effective long-term corn rootworm management and sustainable use of Bt-maize. Disclaimer: Opinions and views (if any) expressed in this publication do not necessarily reflect those of the European Food Safety Authority (EFSA). This publication does not disclose any confidential information or data. Mention of proprietary products is solely for the purpose of providing specific information, and does not constitute an endorsement or a recommendation by EFSA or USDA-ARS for their use. We thank the experts of the Environment Working Group on GMO applications of the EFSA GMO Panel for inspiring discussions that helped to develop this publication, and two anonymous reviewers for insightful comments that helped to improve this publication. We thank Anthony Zukoff (USDA-ARS, Columbia, MO, USA) for western corn rootworm photos.